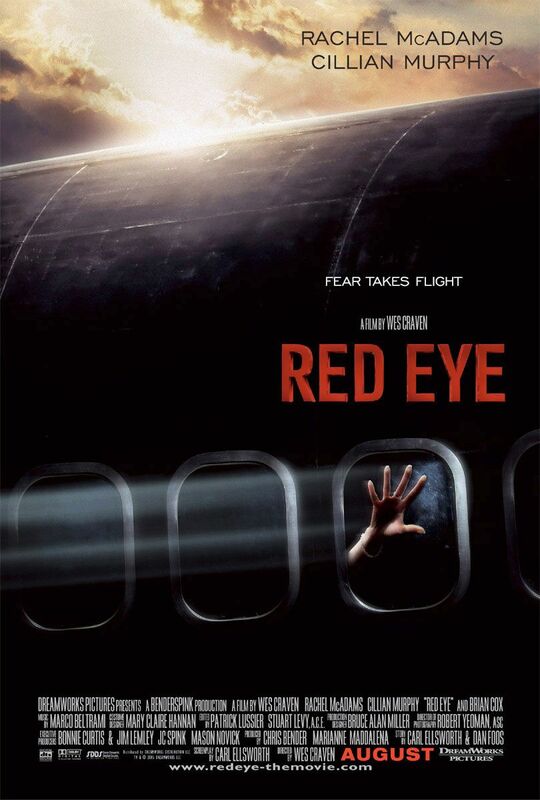 Red Eye is a lean and effective 70 minute thriller built around a compelling premise that nonetheless still manages to unwind during a tacky final quarter hour. Picking up the convivial conversation from where it left off at the bar, Lisa and Jackson exchange small talk until Lisa complains that she is feeling a little off. What he says next doesn’t make her feel any better. It seems that behind those twinkly blue eyes lies the mind of a cold blooded killer. Jackson informs Lisa that unless she calls her hotel and arranges a room change, her father will not live long enough to see her disembark the plane. The bulk of the film takes place on the plane, which I must say is the quietest plane in history, especially given that it has the requisite turbulence and bumps that it seems every cinematic plane journey demands. Despite this Jackson and Lisa whisper away urgently, trying not to attract attention from the other passengers and crew, many of whom we have met multiple times through the film in the airport and while boarding. With most of the tension and drama due to whether Lisa does or does not make a phone call, the issue is how long can she resist and by what means, and what Jackson can do to force her to call without bringing unwanted attention from others on the plane. This proves too complicated to pull off, even for an hour. The last section of the film takes place once the plane has landed, and rapidly denigrates into your stock standard cat and mouse game of chasey, only without the creativity such films demand. It is a disappointing end to what was for a time an intriguing film. MacAdams tries hard as the quick thinking damsel in distress whose threat to her and her father’s wellbeing is sitting alongside her surrounded by dozens of unwitting witnesses. Murphy practically oozes menace and charm in equal proportion as the menacing Jackson, who it must be said concocted the most convoluted and complicated plan possible considering his master stroke was to fire a bazooka from a helicopter… I mean really why the subtlety if that is to be the culmination of events? Ditto the film. Director Wes Craven carefully pieces together a brooding psychological chiller that works well for a time, only to ruin it in a noisy and ill fitting quarter hour of clumsy action. Final Rating – 6.5 / 10. 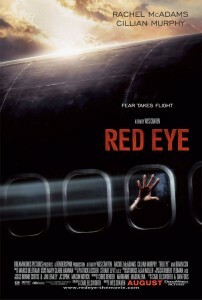 Red Eye has its in flight moments, but can’t escape the illogical powers of post flight jet lag.